So excited to bring you a new to me indie today! 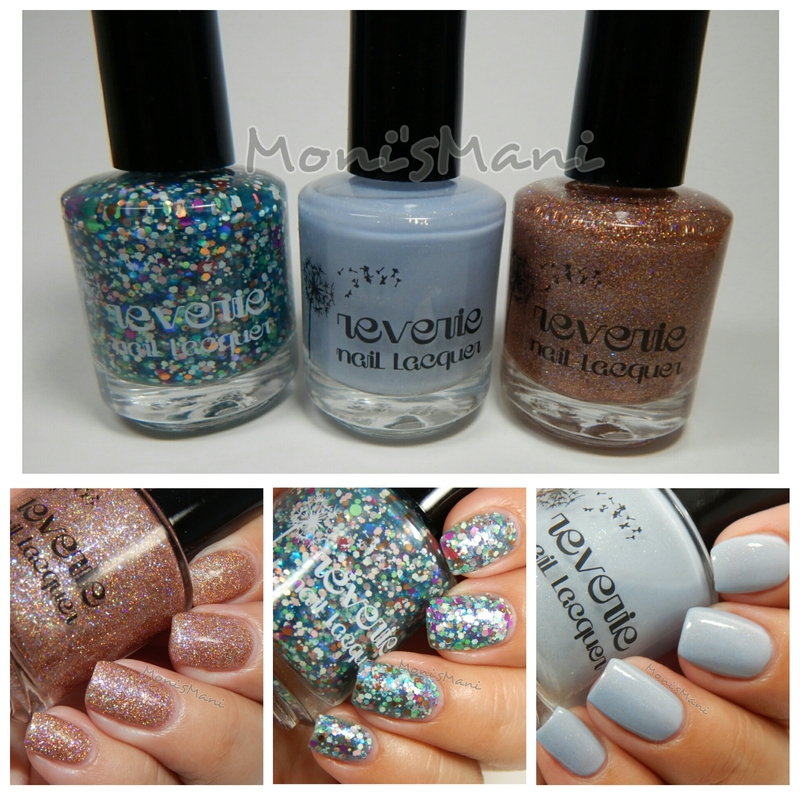 Reverie Nail Lacquer was so kind to send me three of the polishes from their upcoming Spring Collection available as of the 29th (10 am EST) and I couldn’t be happier! I was already familiar with this brand because one of my all time favorite swatchers (The Mercurial Magpie, do check her out she rocks) works with them and their glitter filled jellies always look ah-mazing. I’m SO happy I was finally able to try them myself! Let me show you the pretties and be warned, this is a very picture heavy post. Sorry not sorry! 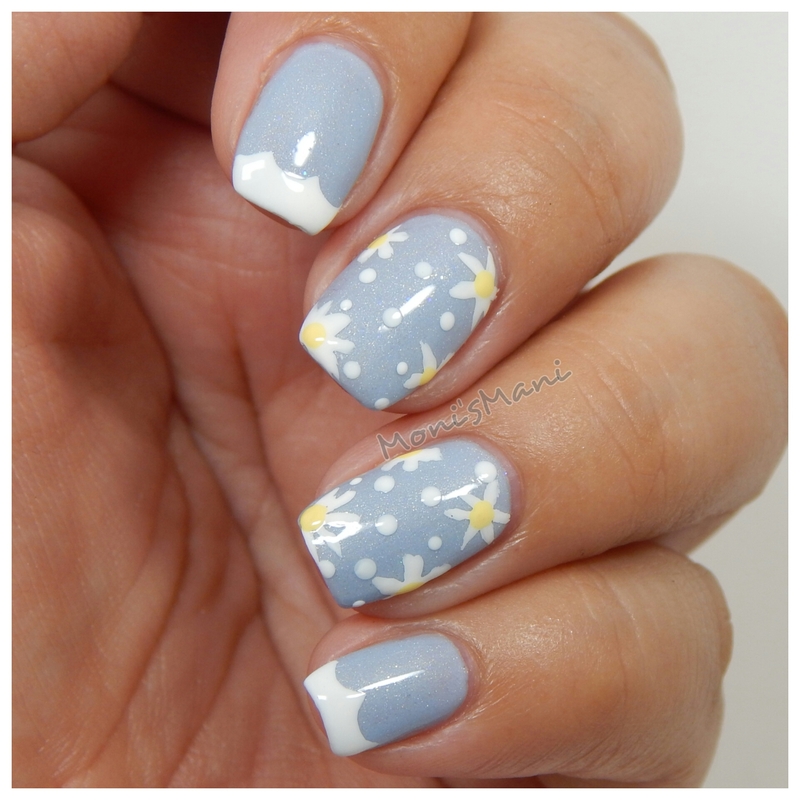 For my nail art I added some white daisies on my accents and a funky french for the rest. *Honeycomb– THIS is a new generation of glitter, I was pleased when I saw it in the bottle but omg I was NOT expecting what I saw once I brushed it on. 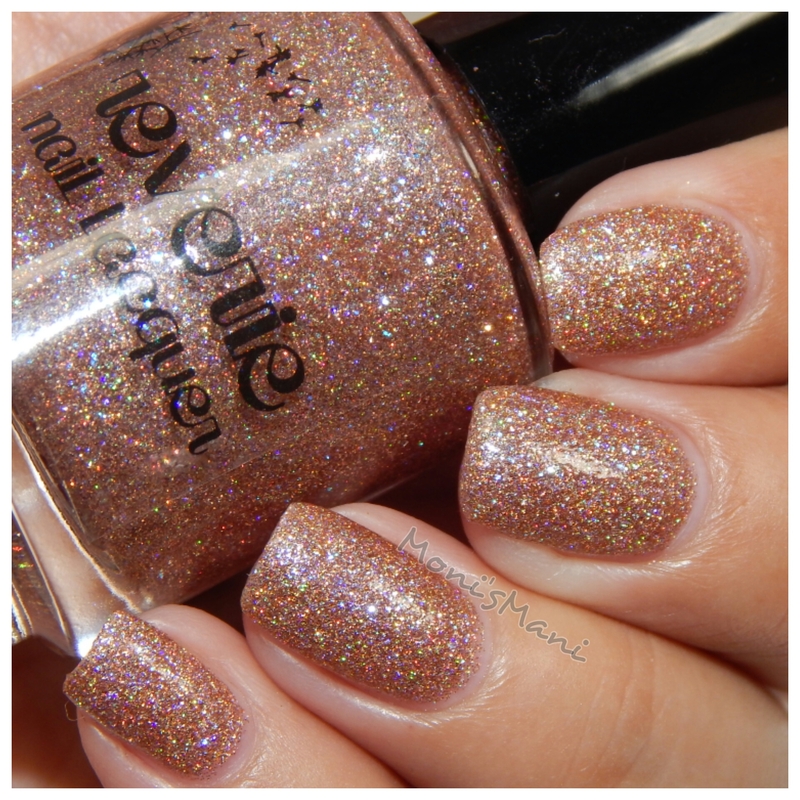 In the bottle you can see that this is a rose gold micro holo glitter, BUT you cannot see the tiny iridescent ones and that is what makes this baby absolutely unique and oh so beautiful!! on top of this, full opacity in two coats! woa! that’s what you see in the pics plus a coat of seche. 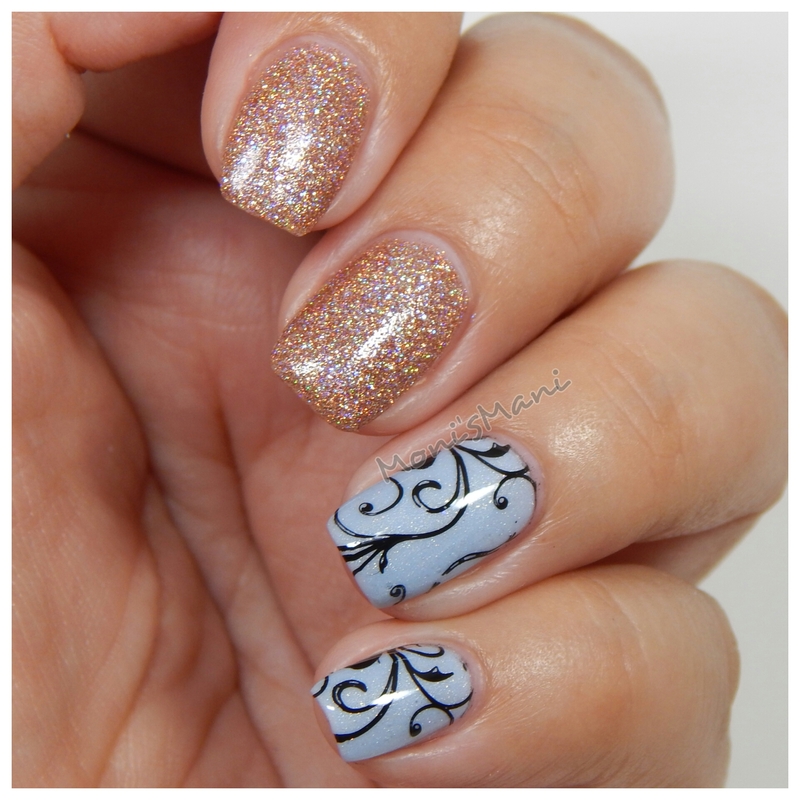 *Lily Pads– These are the type of polishes I see and love but hate when I actually brush them on, sometimes glitters are hard to come by and have to be fished out, other times the bases are streaky. This was not the case with this baby, I am very pleasantly surprised. Who knew a glitterbomb jelly could be so easy to work with? and when I say glitter bomb I mean glitterbomb! there are all kinds of colors, shapes and sizes of glitter in a greenish/blue base. Now I admit I went a bit crazy because I did three coats when two were more than enough, but there were so many types of glitters coming up I absolutely needed to see them all. So, you get three coats plus one coat of top coat in the pics. What do you think??? I am very happy with these three, I think they are completely different from each other which is wonderful, the formulas were really really good including the glitterbomb jelly (huge shock for me). So if you like them definitely go for it and get them. 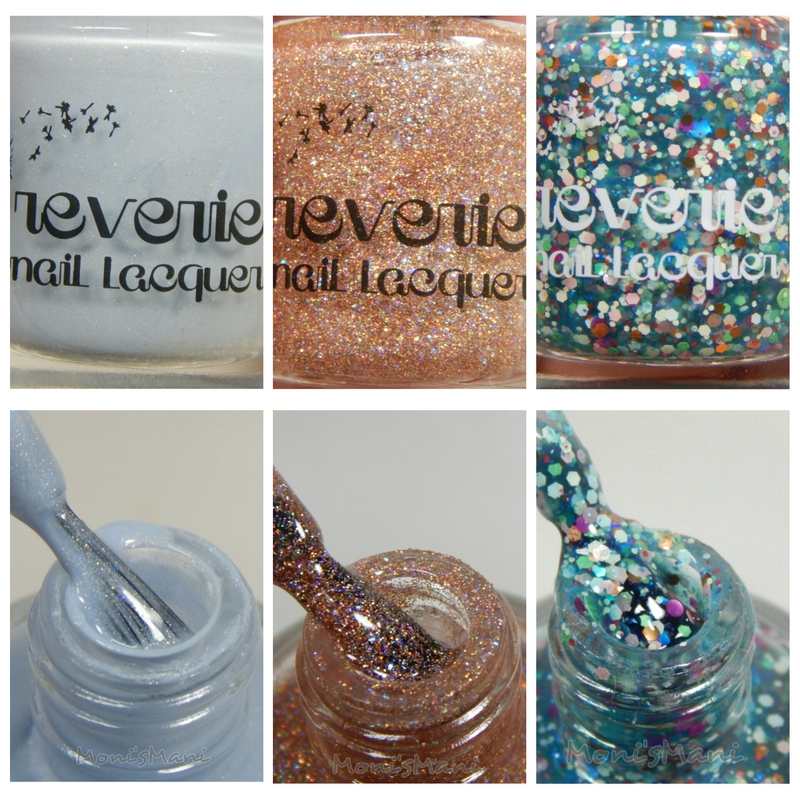 Reverie Nail Laquers are both 3-free (no dibutyl phthalate, toluene, or formaldehyde) and cruelty free! Beautiful swatches! I love the nail art you did over Sunshowers, so bright and cheerful! 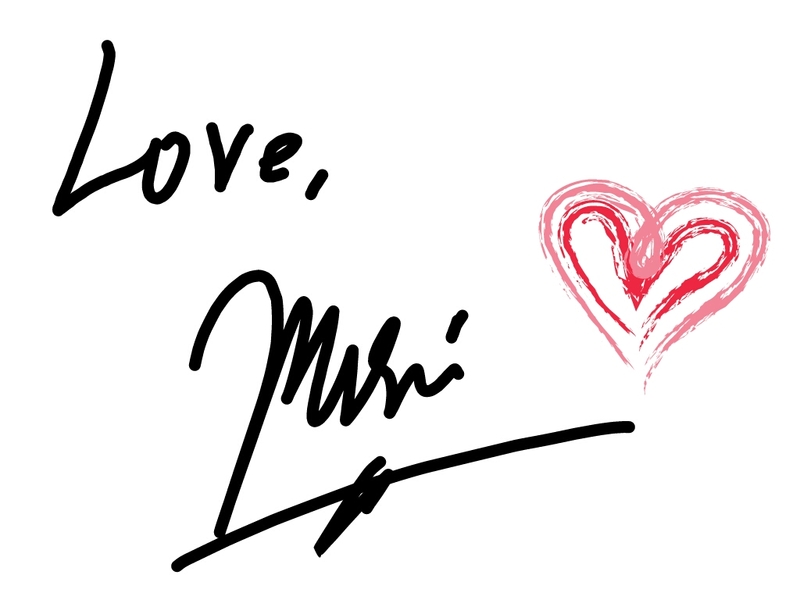 Awww thank you!! So happy you liked it! Thanx for commenting and reading i really appreciate it!